A courtesan from twenty-third century Jodhpur in India, Mohana Sundraju has lived most of her life as a companion in a gilded cage, enjoying great luxury whilst confined within palace walls. 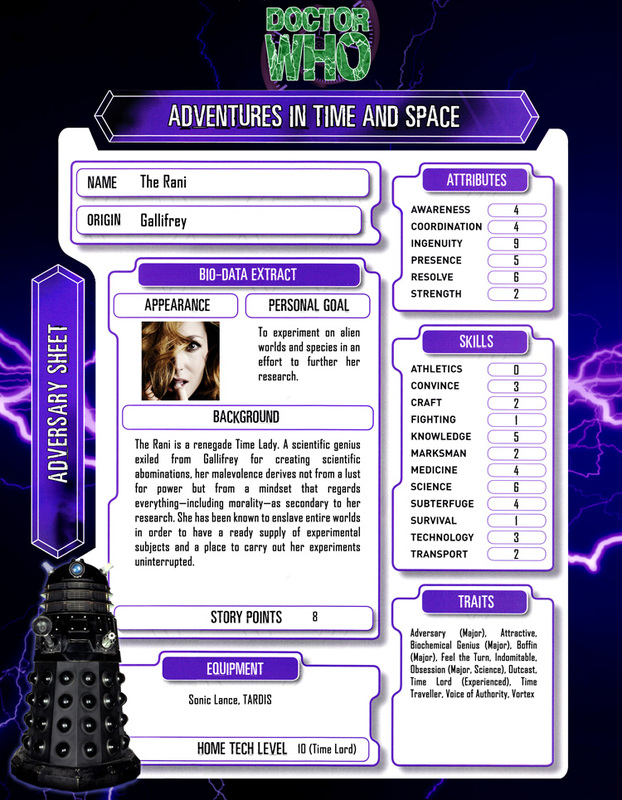 When a temporal disruption left her stranded in time, she embraced the opportunity to escape and found her salvation behind the doors of a battered old police box. Mohana is a passionate woman possessing seductive charms, well-educated in matters of music, dancing, culture, and the arts. She is also adept at reading others, able to discern the deep-seated feelings and desires of men and women alike. In attributes, Mohana’s presence is overwhelming. In skills, her ability to convince and deceive overshadow her weaknesses as a warrior or technician. 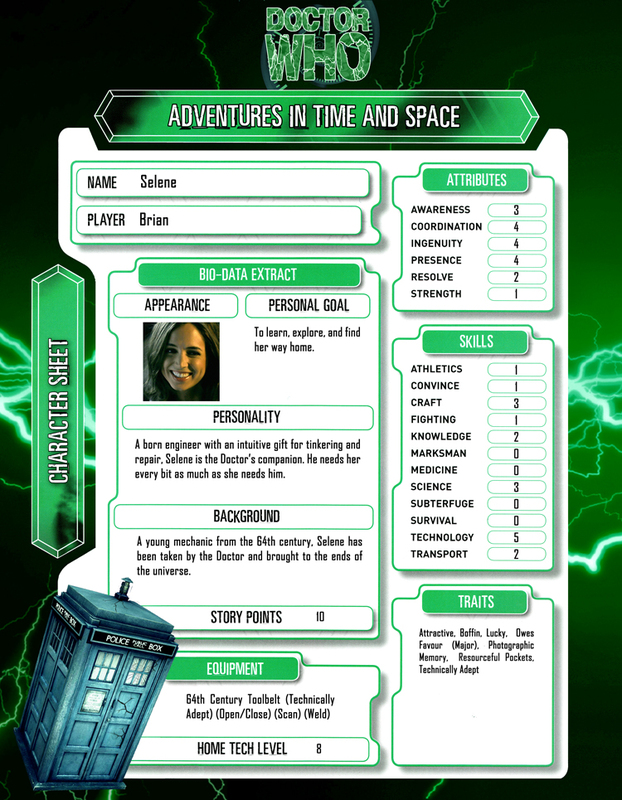 Possessing a selfish streak and an insatiable curiosity, Mohana is captivated by the enigma of the Doctor—the most powerful and puzzling man that she has ever encountered, a man with dark secrets and an impenetrable facade—and she is determined to share in his bold exploration of new and exciting cultures as he travels through time and space. The Doctor isn’t the only renegade Time Lord roaming time and space in a stolen TARDIS. While he may have the Master under lock and key, there are equally dangerous adversaries at large. The Rani is certainly among the most brilliant of the Doctor’s many enemies. A scientific genius prone to obsession and unrestrained by any notion of ethics or morality, her calculated interventions into the evolution of the Earth and other planets could have catastrophic consequences for all life. In attributes, her ingenuity is unsurpassed. Her skills in knowledge, science, and medicine are formidable. 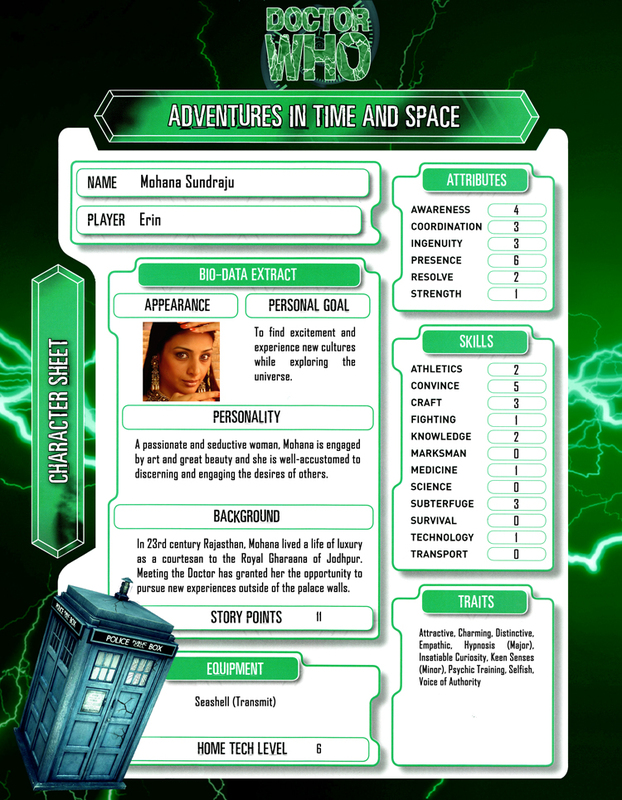 During a confrontation with the Doctor in Roman Britain, the regenerated Rani reinforced the threat posed by her reckless intellect—and revealed that she knows more about his role in an unfolding cosmic conspiracy than he does! Selene is not the Nth Doctor’s first companion but she has remained with him longer than any of her predecessors. A cheerful, eager young mechanic from sixty-fourth century Earth, Selene possesses an extraordinary aptitude—and, indeed, affection—for engineering and technology. It is this specific skill set that captured the Doctor’s attention and the reason that he coerced her into boarding the TARDIS and leaving her world behind. Not only does Selene buoy the Doctor’s spirits during his darkest moods, she has also proven invaluable during those life or death moments that hinge on deactivating mechanical deathtraps or repairing an indispensable gadget. In attributes, Selene’s coordination, ingenuity, and presence are more developed than her resolve or strength. In skills, her superiority in craft, science, and technology shine. 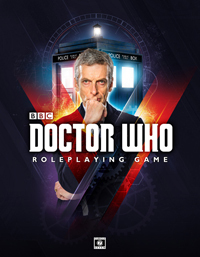 Though the Doctor has promised Selene the opportunity to learn the universe’s grand mysteries, the two travelers are bound by a fateful yet unspoken bargain: he harbors a secret project which requires her finely honed expertise, and she is unable to return home without his cooperation. The Nth Doctor is perhaps the most alien incarnation of the character. Emotionally remote, arrogant, and manipulative, he nevertheless possesses all the passion and wisdom of his predecessors. A true epicurean who delights in sampling the best that history has to offer, the Doctor seeks experiences that allow him to feel revitalized and he is driven to inspire passion, creativity, and innovation in others. In attributes, his awareness, ingenuity, and resolve far outstrip his strength and coordination. In skills, his creative talents, encyclopedic knowledge, and tendency toward subterfuge overshadow his abilities as a fighter, a marksman, or a technician. This sophisticated Doctor would rather sample the wines of Traken or Ribos than tinker with the settings on his sonic screwdriver.